Serving Up the Shore 2018 has been cancelled. We appreciate your support for Chincoteague Bay Field Station and our local farmers. Serving Up the Shore is Chincoteague Bay Field Station's annual farm to table dinner where we partner with some of the Eastern Shore's top chefs, farmers, and artisan producers to create a multi-course meal that celebrates locally grown and produced foods. The dinner is both a celebration and a fundraiser, with all profits going towards local environmental education programs here on the Shore. Learn about one of the most unique and powerful programs that we offer to families right here in Accomack County called SPARK. Tickets for this event are $60. Please note: courses may change depending on what is fresh and local at the time of the event! Originally from Virginia Beach, Jason's passion for creative culinary experiences have taken him across the United States, including a stint as the Executive Chef at Kona Brewing Company in Hawaii. 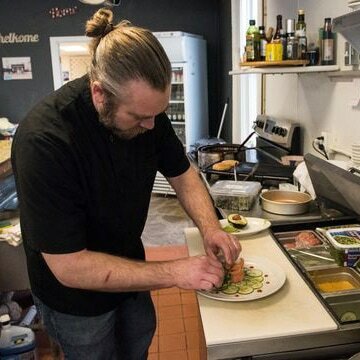 His most recent endeavor, however, is his own creation - a cafe counter in Cheriton, VA, called The Local which offers a rotating weekend menu using a variety of local Eastern Shore ingredients. Jason will be designing the appetizer and salad courses at this year's dinner. 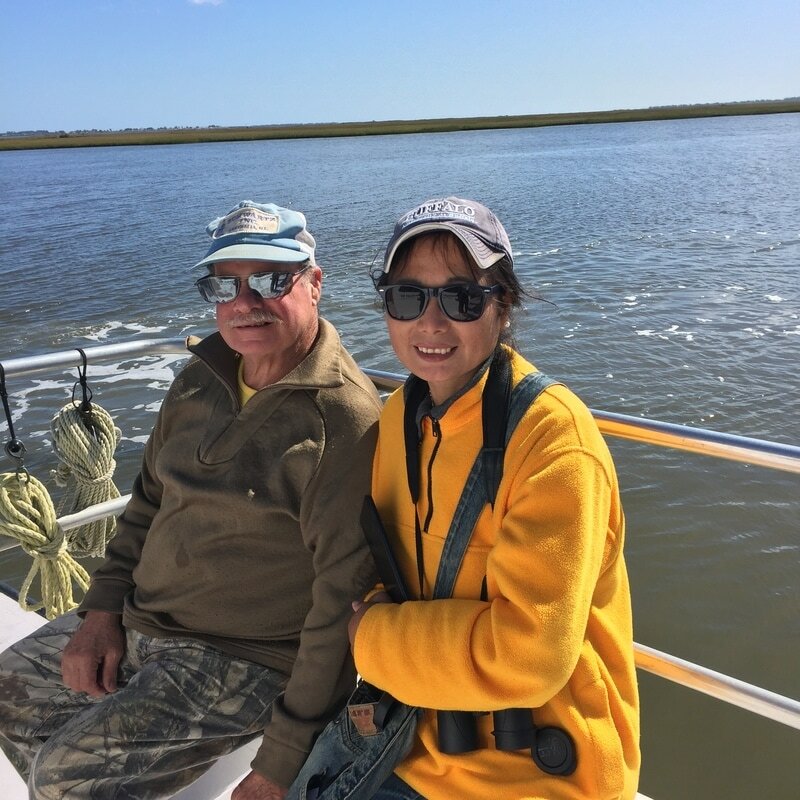 Amy B is a pioneer in local and seasonable resourcing, and supports the efforts of farmers and watermen on the Eastern Shore who bring superior products right to her door. She creates menus of simple fare with quality ingredients, using a light hand to allow them to shine to their best potential. Amy is taking on the main course this year and it promises to be unique and unlike anything you've tasted before. Rosie Moot is participating in Serving Up the Shore for her third year. Last year her dessert duo proved to be one of the tastiest and beautiful dishes we could have imagined so she's back for round two. 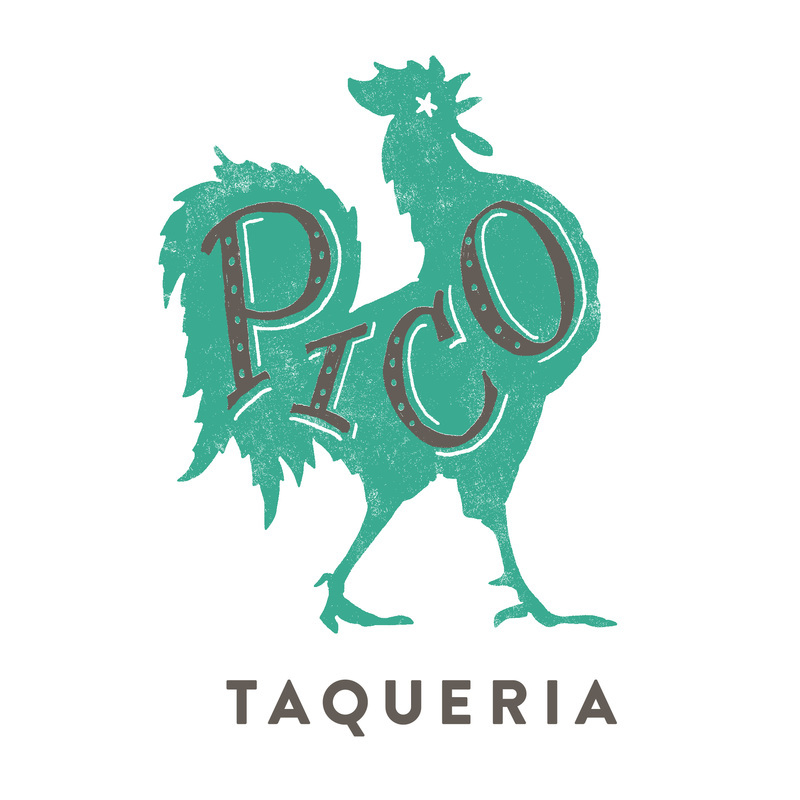 Rosie is a trained pastry chef and co-owner of local taco stand Pico Taqueria. 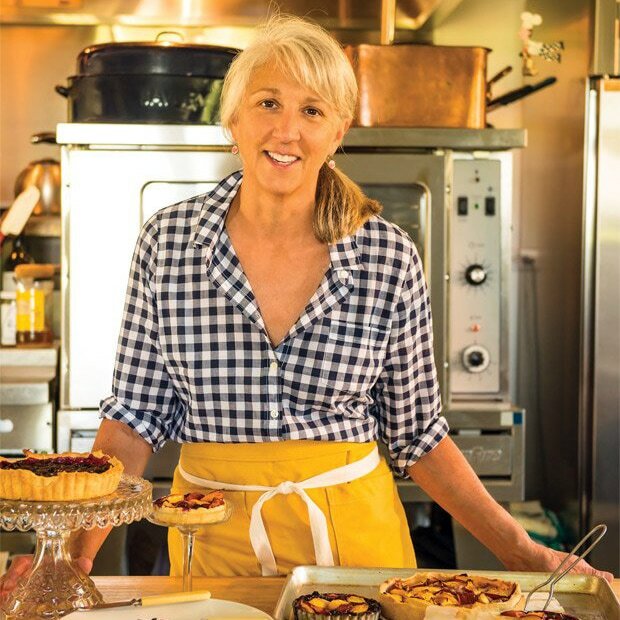 In addition to her culinary talents she brings creativity and a passion for building community. 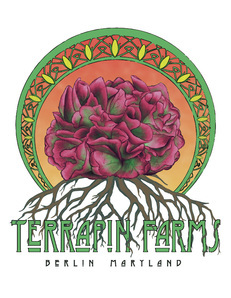 Deeply rooted in its rich agricultural history and passion for local, sustainable farming, Terrapin Farms is unique to the Eastern Shore of MD in that they are an organic, hydroponic farm. They continue to grow and evolve since their opening in May 2015 and currently provide some of the best microgreens, edible flowers, herbs, and lettuce varieties in the area. ESCR is a wholesale coffee roasting company located in Eastville, VA. Founded in 2006 by Kristin & Jamie Willis, they source only the best ethically & sustainably grown beans, and take uncompromising pride in producing superior, custom-blended & roasted-to-order coffee. You can find their products across the Shore at locations like Machipongo Trading Co. and Posiden's Pantry. A small garden-farm located in Locustville, VA, Big Otter Farm is run by Wally Schwartz and his wife Dao Qun of Sichuan, China. They raise Asian and Western vegetables using no synthetic chemicals which they sell at the Onancock Farmers market along with the best prepared southwestern Chinese foods like dumplings, steamed buns, and spring rolls. 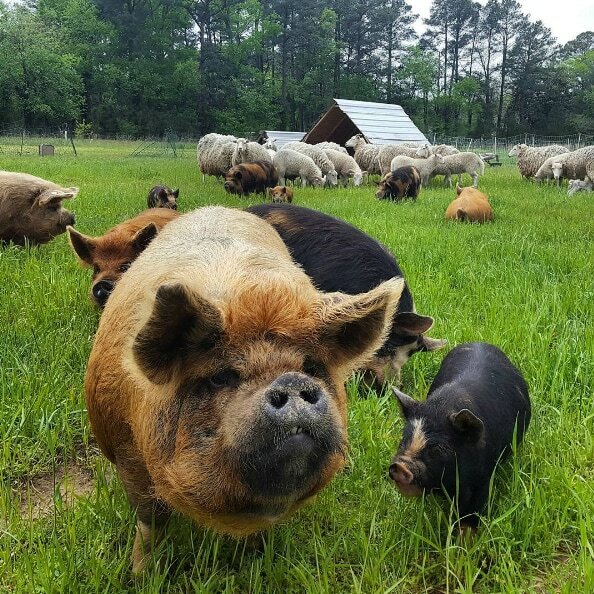 Copper Cricket Farm is a small biologically managed and sustainably grown farm located in Machipongo, VA. Their growing method is based on a belief that a resilient and balanced ecosystems produces the most nutritious and flavorful food. Copper Cricket Farm has an amazing CSA program and you can find them at the Onancock + Cape Charles Farmers Markets. Founded in 2010, Perennial Roots Farm is a sustainable farm deeply rooted in and guided by biodynamic rhythms and permaculture concepts. You can find Perennial Roots at the Onancock and Cape Charles Farmers Markets selling a variety of heirloom veggies, fruits, nuts, mushrooms and flowers. And be sure to follow them on Instagram and Facebook for a fill of adorable piglet photos. Off-centered ales for off-centered people is the mission of Dogfish Head. That mantra rings true for the brews that they'll be showcasing at this year's event. We'll have some of your traditional favorites (90 Minute anyone?) as well as some unique selections that will pair with the courses. With this line up, we're sure you'll leave with a new favorite! Turtle Pace Farm is a small sustainable family farm on a twenty acre homestead. Together with their children, Paul and Doris Gebel, built the house and barn and acquired equipment. They use vintage Farmall tractors and implements to plow, plant, cultivate and harvest, with the intention to produce crops that they would be confident to serve to our own grandchildren. Since 2016 their operation is full-time growing fruits and vegetables. 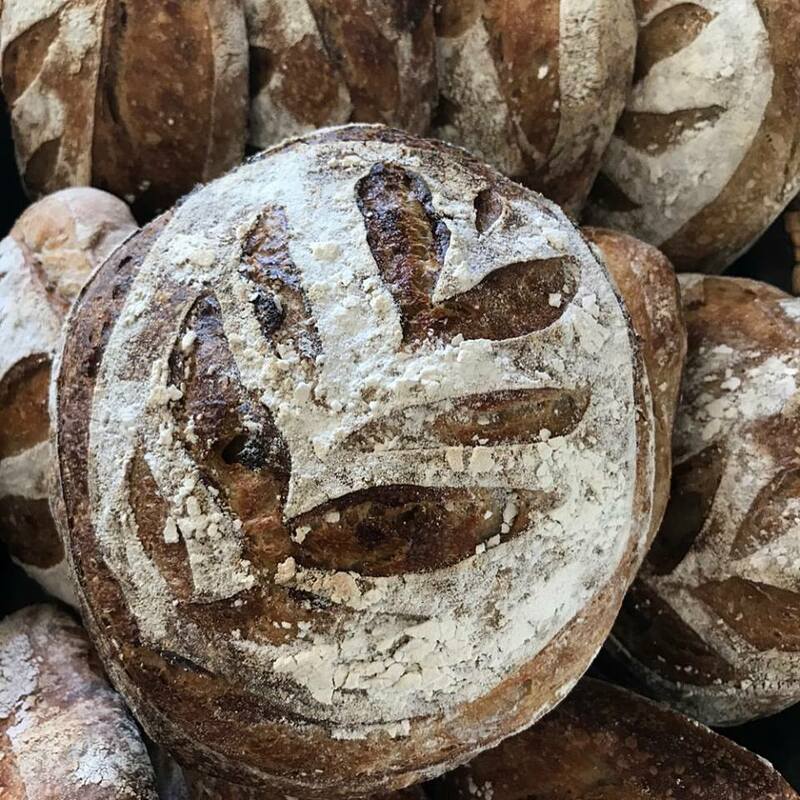 Run out of a beautiful old farm house on the lower peninsula, The Bakery at Riverside Farm has become locally famous for their rustic sourdoughs that rely solely on wild Eastern Shore yeast for its rise. These breads use no preservatives, sugar, or artificial ingredients and specialty loaves range from whole grains & seeds, dried fruits, cinnamon, olives, blue cheese, and/or nuts. Find them on Facebook to make your next order! With five generations of experience harvesting clams and oysters here on the Eastern Shore, Ballard is a name that is simply associated with aquaculture across the nation. We're excited to feature their products at this event for the third year! Ballard has three locations across the Shore, in Chincoteague, Cheriton, and Willis Wharf - be sure to follow them on Facebook too! 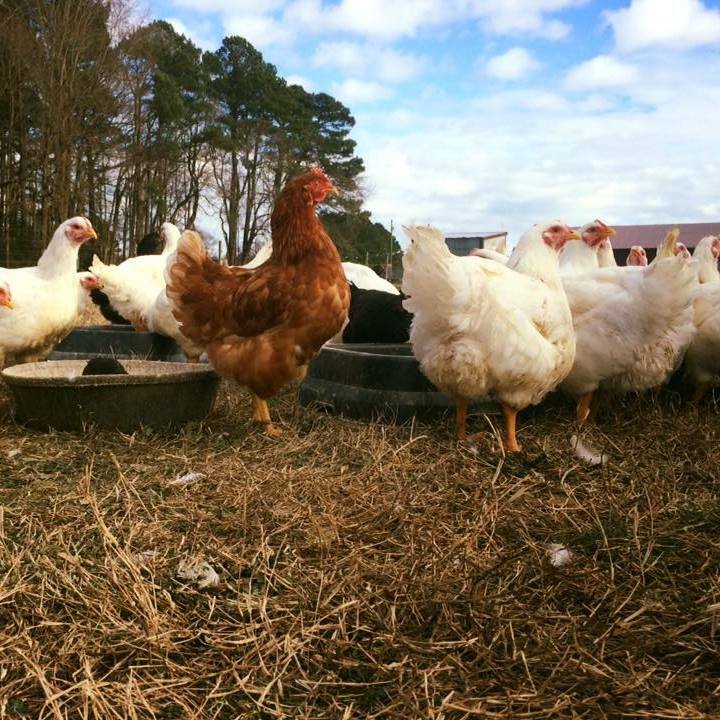 Located in Parksley, VA, Hopeton Farm provides the Eastern Shore with sustainably raised milk and meats including sheep, chicken, turkey, beef, and more. They have milk shares available and their products are available in many of the local farmers markets. 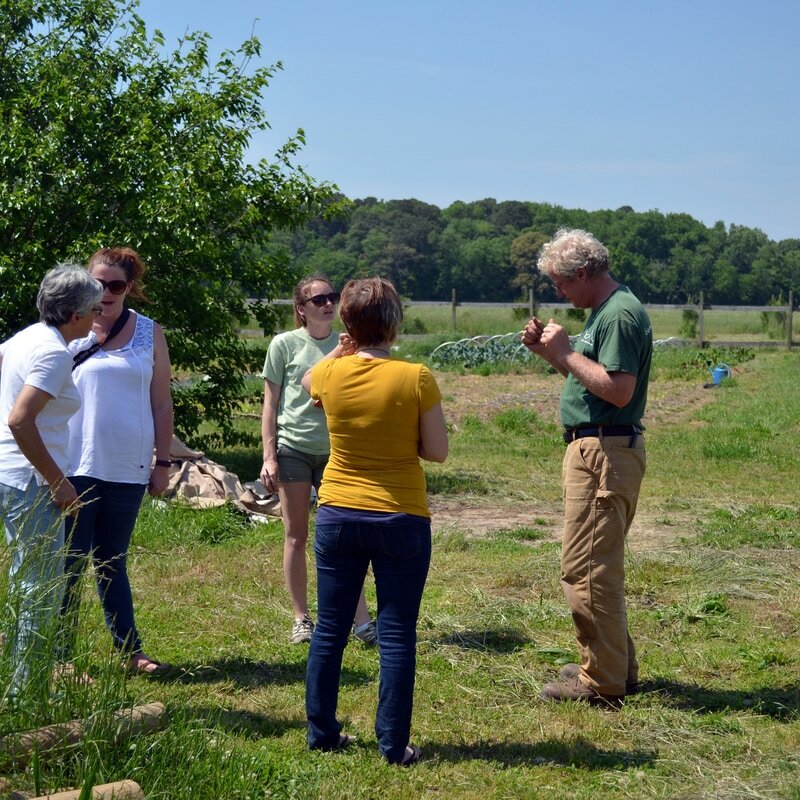 Fox Briar Farm is a half-acre regenerative and organic farm in Salisbury, MD. Inspired by the birth of their son, Kathleen and Daniel have embraced the French micro-scale market gardening tradition, and urban farming models that provide an abundance of high quality produce on low acreage. Their infant is now an energetic toddler who happily plucks crisp carrots from the soil. Find them at the Rehoboth Beach and Historic Lewes Farmers Markets. La Caridad is a small family farm in Parksley, VA offering a variety of scrumptious products. Owners Stacia and Luis raise heritage breeds on pasture and forage and believe that treating their animals with care and kindness is essential for both the animals and the humans health. Visit their Facebook page to place an order for the best eggs on the Eastern Shore - you won't regret it! 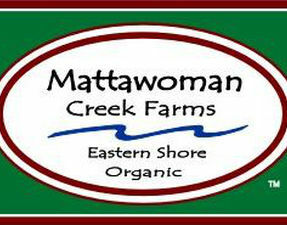 Mattawoman Creek Farms is a 100% certified organic farm that serves the Eastern Shore and Hampton Roads areas. 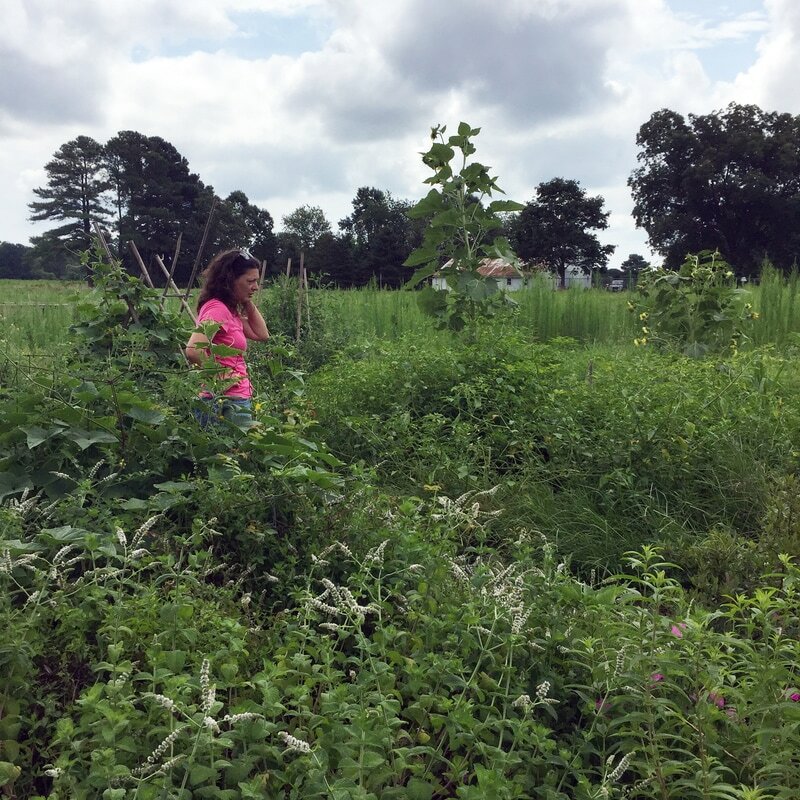 Their growing methods promote healthy soil and marshlands and support the restoration of the Chesapeake Bay. Their products are diverse and distribute year-round through a combination of Farmers Markets, CSA's, and their online store. Be sure to check them out on these platforms! Because this is a special event with a pre-fixed menu, we will not be able to make specific changes to the courses. ​If you have concerns regarding dietary restrictions please contact elise@cbfieldstation.org.